Makes 6 servings, 1/2 cup each. Cut squash lengthwise in half; scoop out seeds. 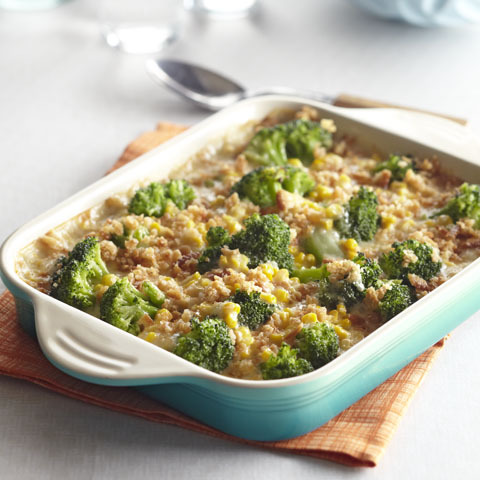 Add water to 13x9-inch baking dish; place squash, cut sides down, in dish. Cover. Bake 40 min. or until squash is tender when pierced with knife. Cool 10 min. Transfer squash to cutting board; drain liquid from dish. Scoop squash flesh into medium bowl, leaving 1/4-inch-thick shells. Add cheese, sour cream, chives and paprika to squash flesh; mix well. Spoon into shells. Combine cracker crumbs and butter; sprinkle over squash. Return, filled sides up, to baking dish. 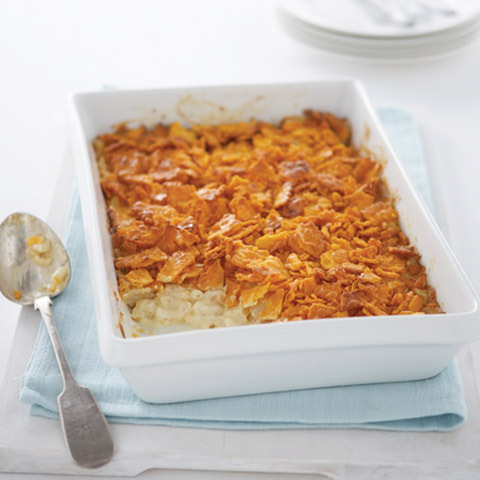 Variation Prepare using shredded reduced-fat cheddar cheese and reduced-fat sour cream. SubstituteSubstitute green onions for the chives. 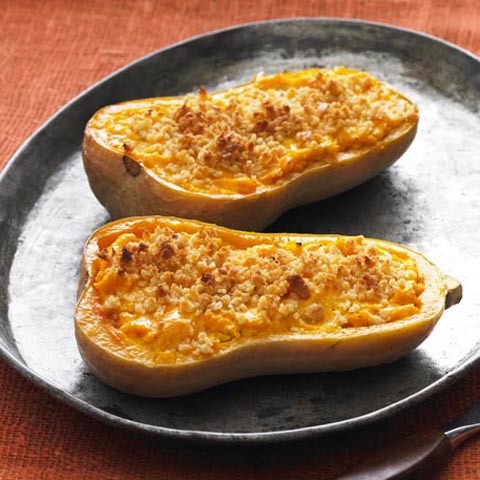 Food FactsWhile the smoked paprika adds nice flavor to this delicious side dish, this recipe can be prepared with regular paprika instead.